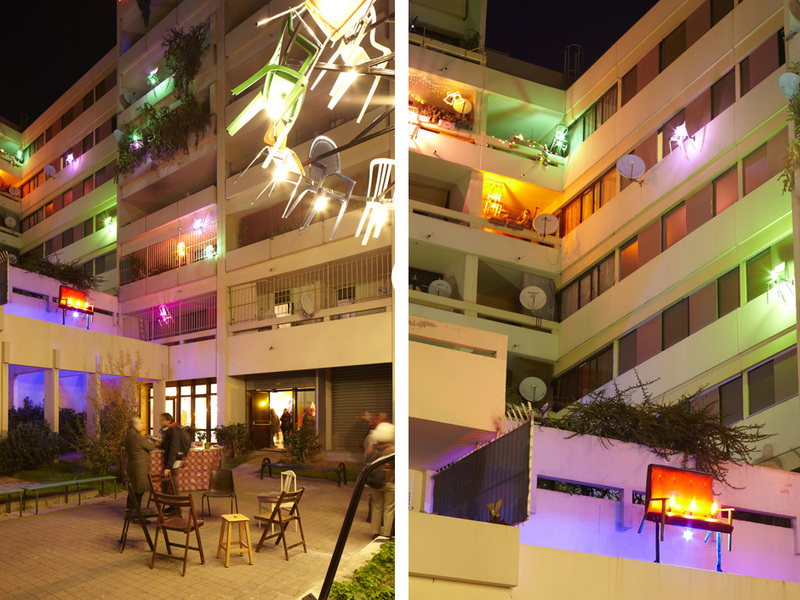 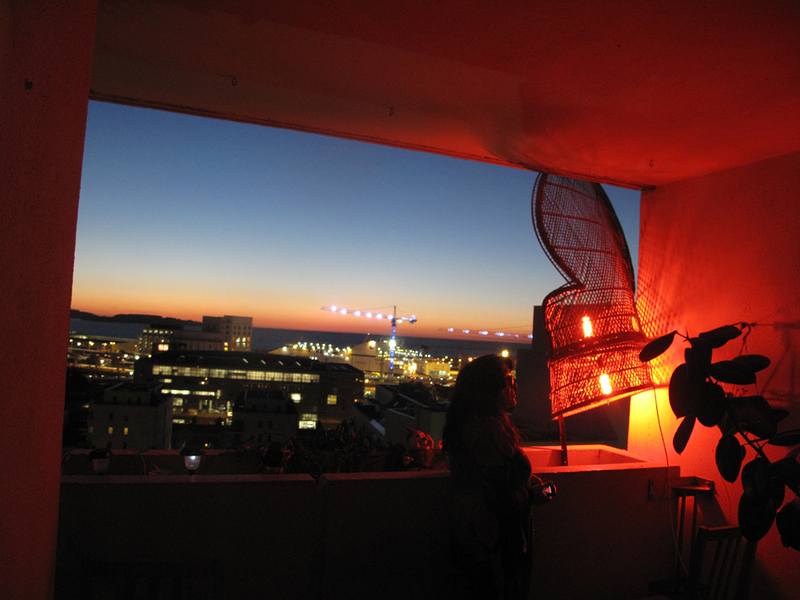 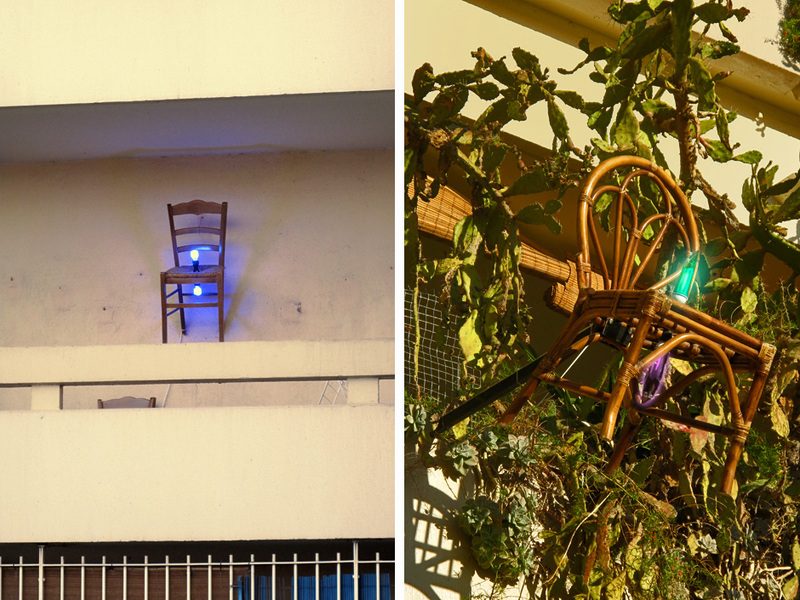 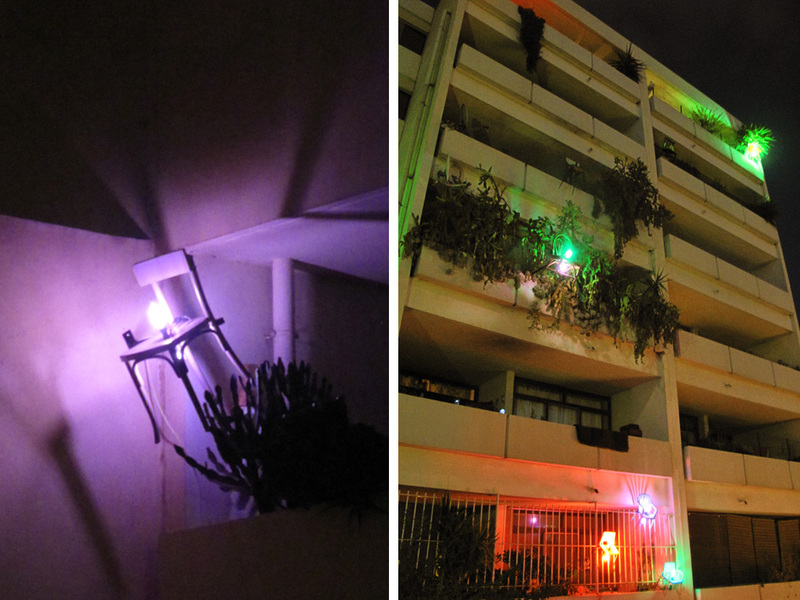 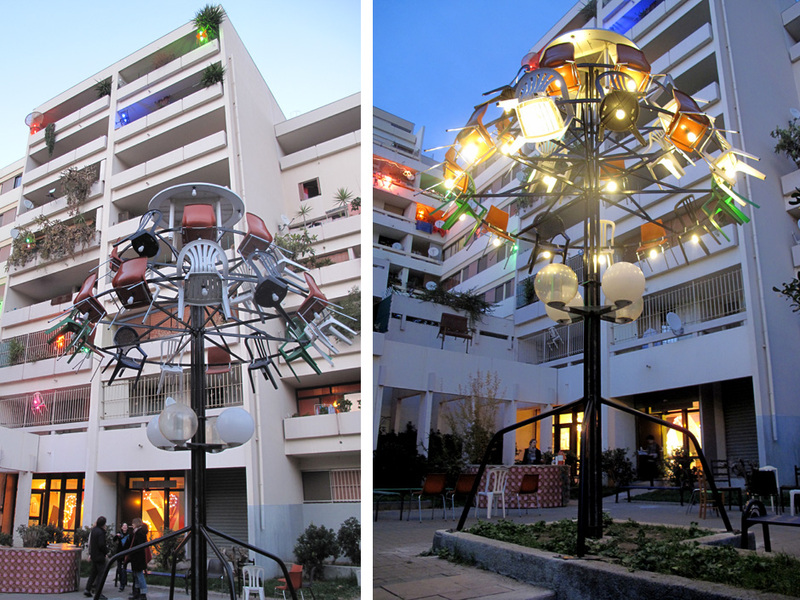 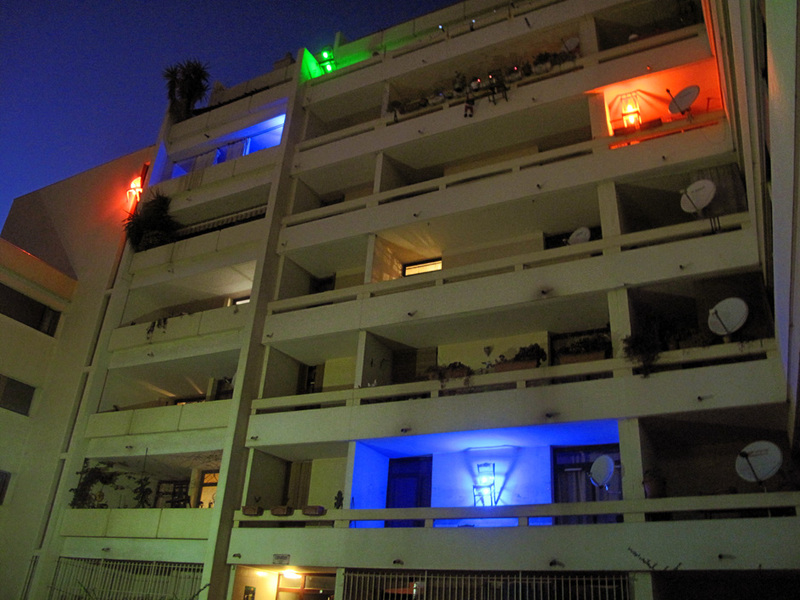 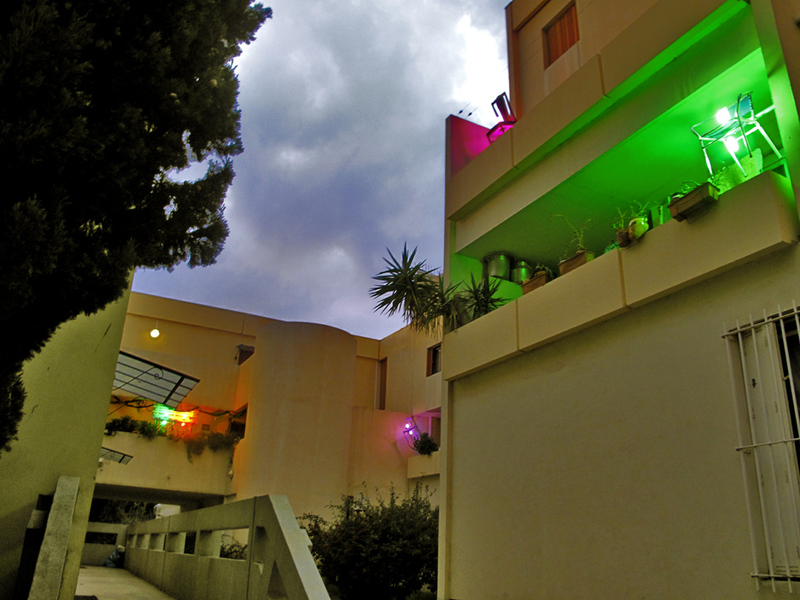 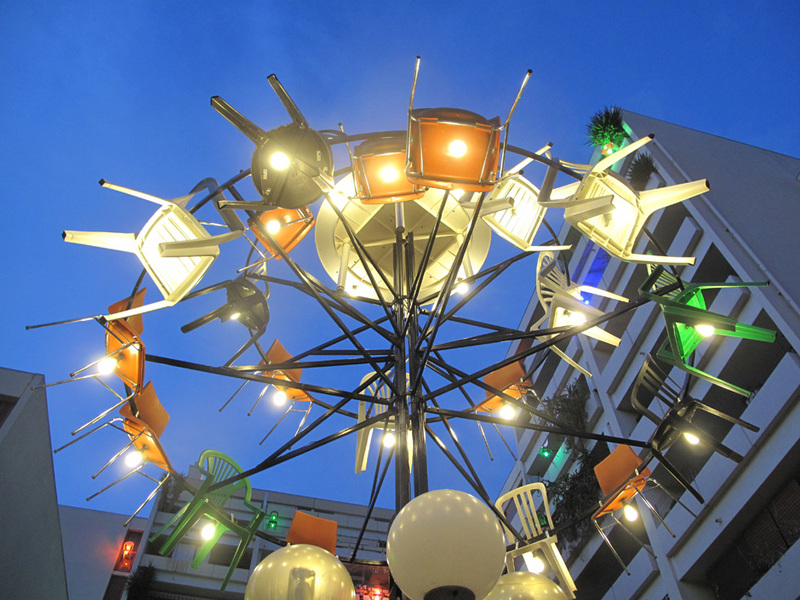 Pulling part of the spontaneous illuminations at years-end and extending the meridional custom to «take out its chair», the artists materialized a « balcony artwork,» with each inhabitant associating a chosen seat, armchair, sofa to a luminous color system installation. 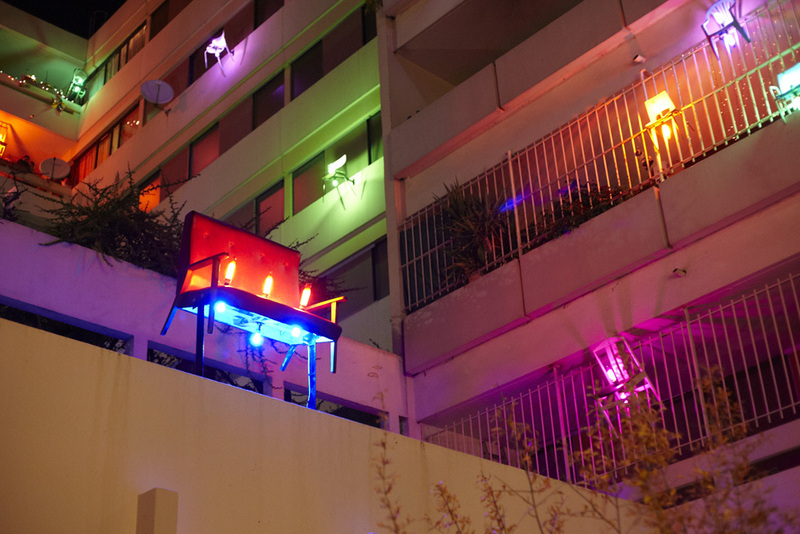 This abundance of balconies of «blazing» chairs answers by variations of luminous intensity and of colors as on a concrete Xmas tree! 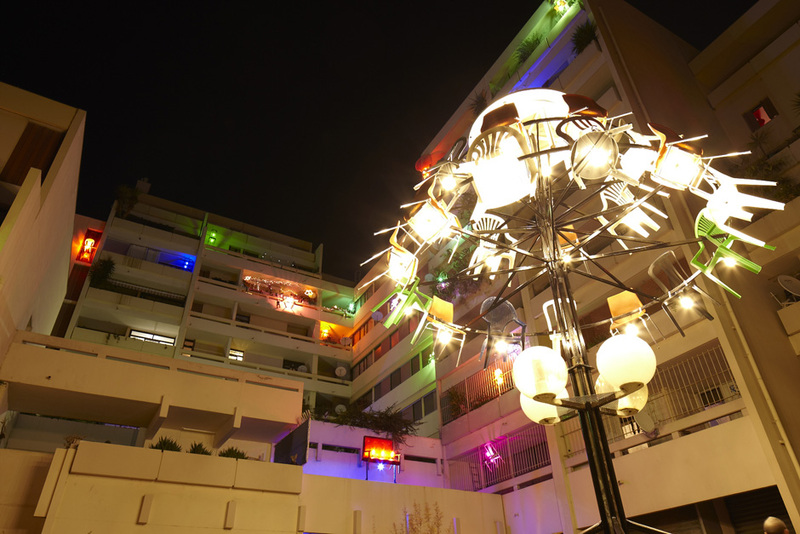 From the road and of several locations in the town, visitors like inhabitants discovers the set of luminous balconies which protrude the volumes and the dynamic written in the architecture and in the usage that the occupants make . 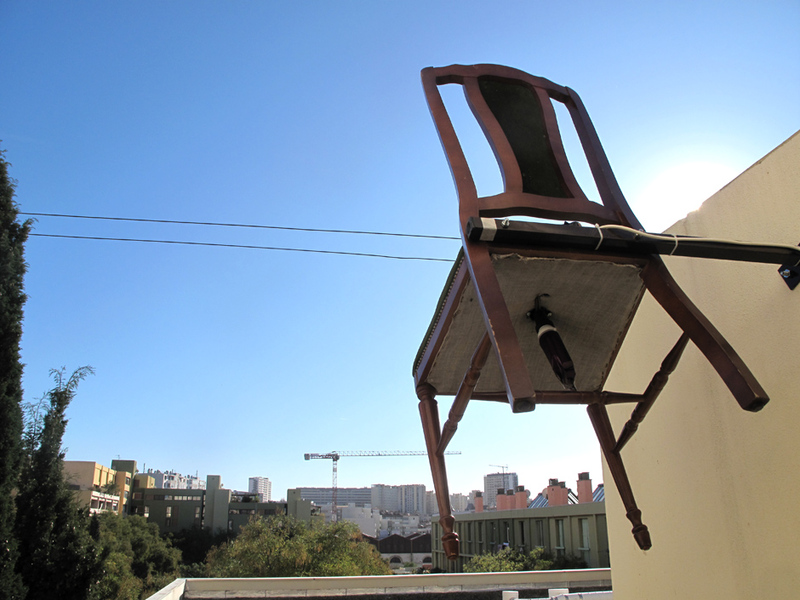 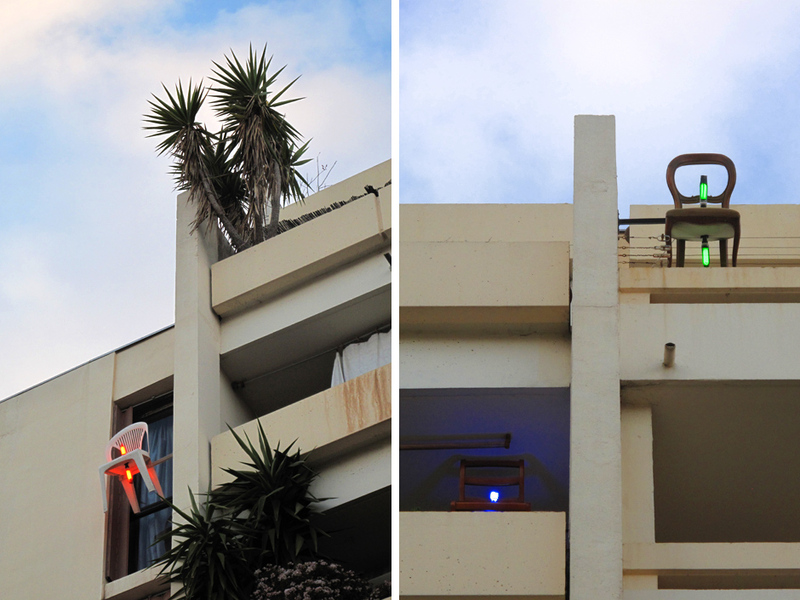 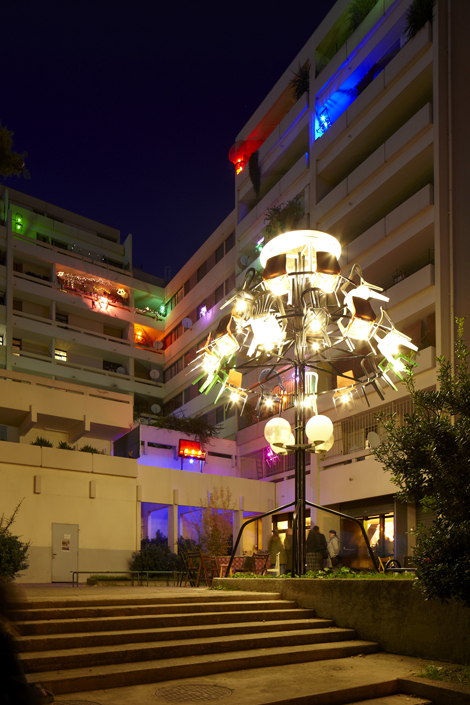 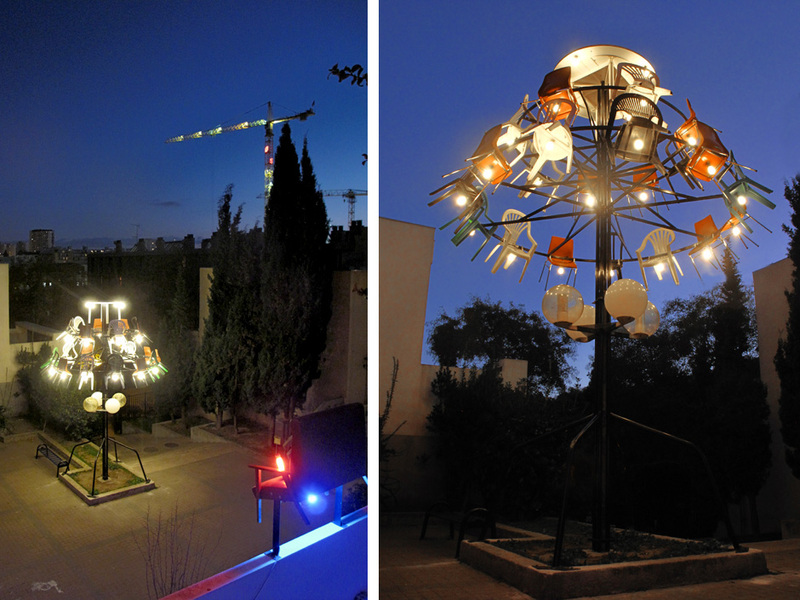 This installation from a remarkable site of a XXth century housing scheme architecture (architect Mario Fabre) is the second phase of a artistic immersion in the Fonscolombes project Marseilles, linking forty inhabitants as «occasional of art».